Book Blogs You Must Check Out! Over the past few weeks, I have fallen in love. No, not with a fictional guy, not even a real guy. I'm talking about blogs! Yes, blogs! There are two bloggers from Australia, Brodie and Lisa, who have teamed up on their YA blogs, Eleusinian Mysteries and Read Me Bookmark Me Love Me, to host a fantastic Valentine's Month Event, and I've been reading their blogs religiously since they started. Granted, originally it was because I wanted to enter all the contests (there are some real good, original fun ones! ), but having visited and commented on both blogs pretty much everyday since the beginning of the month, I have found myself addicted to their posts. Yes, there are great contests, but forget them - these ladies can write! Their reviews are just as entertaining as books are. I laugh and smile all the way through. The enthusiasm they have for the books they love jumps out of the screen and hits you over the head, but the gushing doesn't stop their reviews from being extremely well written. I have seen their readers quote their reviews back at them, because a sentence was funny or just awesome. They've been covering a lot of books recently that I've had in my TBR pile that I've been looking forward to, but their posts on them have had me picking them up straight away, because I obviously NEED to read them now. Their reviews and posts are pretty much just amazing - even if they don't like the books they've read, or they're reviewing books that aren't my cup of tea. Not only that, but they are so passionate about reading, and getting other people to read, in general; take the Valentine's event they have been holding, it's just amazing, and they've had so much going on - author/character Q&As, love triangle debates, ultimate boyfriend battles, extracts and deleted scenes... I have no idea how much organising putting something like that together would take. These ladies get seriously busy to ensure their readers get excited and want to read! Not only that, but they're covering a lot of books I've never heard of, and the size of my wishlist is growing daily. Seriously, these are blogs you cannot afford to miss. Part of my daily online routine includes their blogs - check/reply to email, read Brodie and Lisa's blogs. You have to check these blogs out. They're just amazing. You are just amazing. Thank you SO much for all of your kind words. I know Brodie will comment here soon herself but our hearts are all fuzzy right now. It means a lot to us that you're enjoying our event and our reviews! <3 I'll fly over there tomorrow and give you a big huge hug. Much love! It's absolutely no problem! 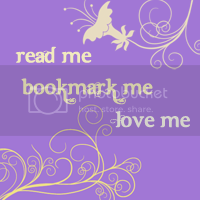 I love Read Me Bookmark Me Love Me - as I've alread made clear :) I'll be heading back each day! Thank you so, so much for your amazingly kind words! I am so happy that our Valentine's month drew you to our blogs, because honestly, your comments make it all the more richer <3 We have put a lot of effort into the event, so to see something like this makes it SO worth every minute of it. I love meeting fellow bloggers and it really has been an honour to discover one of my new favourite Brits :) YOU ROCK! I'm flying over with Lisa to give you a big hug!